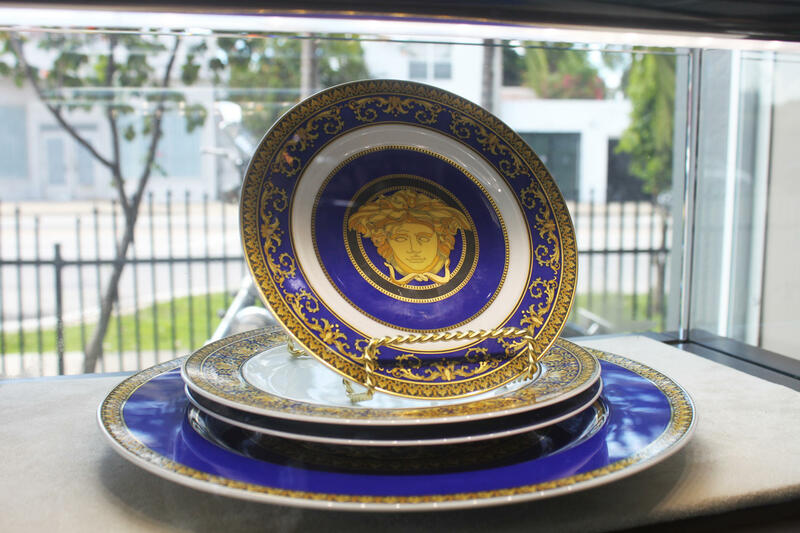 These Versace plates have a retail price of $2,600. At Midtown Pawn Boutique they are $1,650. The metaphor of Isabella extends to a legend that she pawned the crown jewels to fund Columbus’ voyage. 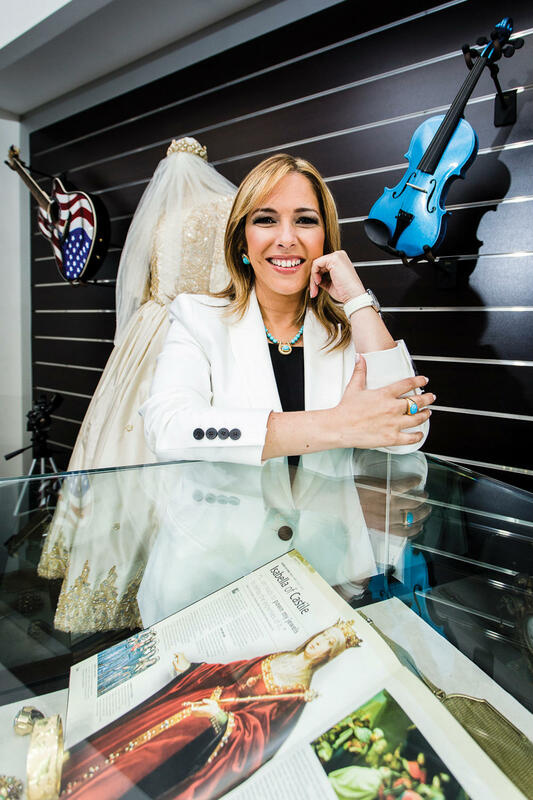 Though historians tend to see the tale as fictional, Midtown Pawn Boutique’s owner Adriana Jimenez Hernandez speaks about her with great pride. “That’s my girl,” she exclaims. Hernandez is a third generation pawnshop owner, and her family’s Jimenez Group is a major player in the industry internationally. Though luxury consignment shops have had a place in South Florida for some time now, the difference between high- and low-end business models is clear. Pawning means the original owner of the object can receive cash collateral immediately, so if someone with a valuable 16th Century map of Italy needs an infusion of liquidity, they now have a storefront with professional appraisers and experienced pawnbrokers to bring it to. Miami is a place where fortunes are made, lost, regained and sometimes bartered over. With banks still struggling to consistently lend, particularly without a home or business as a guarantee, people who have stowed their wealth into objects, be it art, electronics, fashion or antiques, have a tougher time getting hard cash for their wares. It’s hard to justify caring about the super wealthy needing liquidity, but nevertheless the business model is a relatively new one. Pawnshops typically deal in a grey area of lending, in which those who are either unbanked or underbanked turn to store fronts for cash. It’s sort of a stunning number to think about, but according to the FDIC, around 30 percent Americans are unbanked or underbanked. Unbanked means they either have no banking relationship at all, whereas the underbanked deal with check-cashing stores, pawnshops or loan sharks. It can be a seedy world, an image that Hernandez, who admits she grew up embarrassed to be from a family of pawnbrokers, hopes to dispel. “It’s an eclectic melting pot of stuff we have here that represents Miami,” and sure enough she speaks of a Diego Rivera painting in the vault, which sits alongside expensive purses, motorcycles and even Versace dishware. The discarded riches of Miami’s wealthiest is something of a weird mélange to consider. It could be seen as a collection of indulgences and excess; there are Rolex watches next to a diamond studded jaguar necklace, across from a Dali lithograph. “Pawn is posh right now,” which Hernandez thinks might be because of television shows such as Pawn Stars and even Beverly Hills Pawn, which has a similar model to Midtown Pawn Boutique. 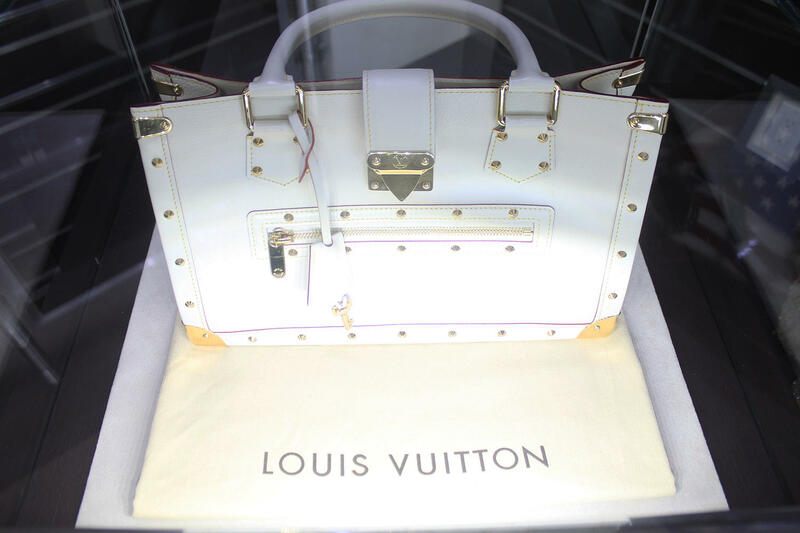 This Louis Vuitton purse sells for $3,850 at retail. You can find it Midtown Pawn Boutique for $2,600. Hernandez is trailblazer, regardless of what you may think of the industry of pawnbroking. She has laid ground with a business model never before seen in Miami, and doing it as a woman is very impressive.